Fashion and Cookies is very pleased to announce a new giveaway, together with a very cool new swedish brand, Sofia Moore !. Sofia Moore company was born to supply tailor made evening dresses for your parties and celebrations, they ship worldwide, and together with their lovely evening gowns collection, very red carpet style, they also have a range of evening purses, something you cannot miss in your closet. This online boutique offers the luxury of a very own personal tailor, creating sophisticated, made to measure eveningwear that will amaze everyone for their style and elegance. Well, 2 lucky followers of this blog will win an elegant purse of their choice among the ones you see in the poster !. This giveaway is open WORLDWIDE and it starts today until February, 10th. To enter this amazing elegant purse giveaway you have to follow the simple rules you find below and fill the Rafflecopter form, as ever !. 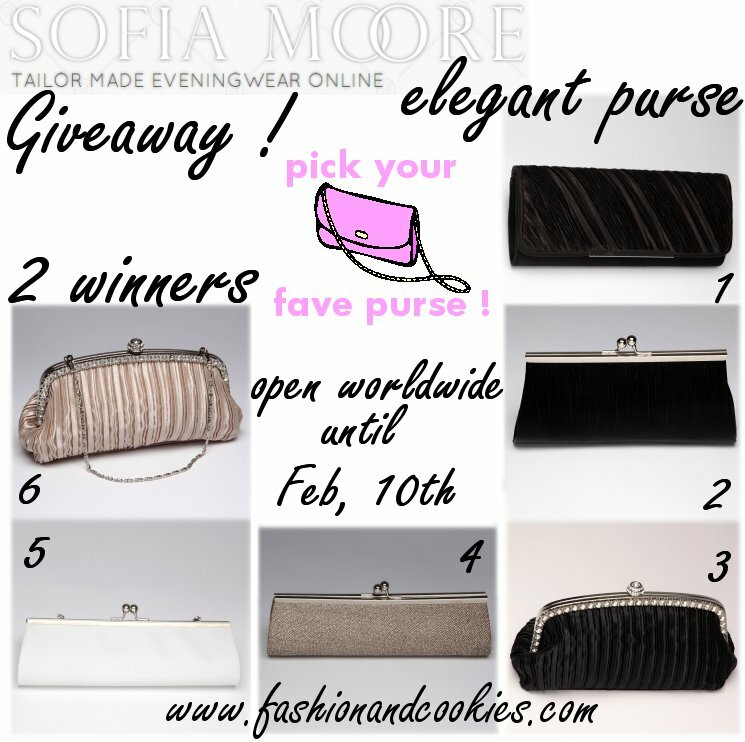 Two winners will be selected randomly with Rafflecopter, then the names, the purse of choice and contact details will be given to sofiamoore.com and also announced on the blog, Twitter and FB. Hi dear ;) I am in. 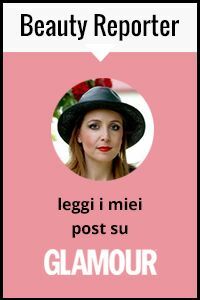 Arianna Gallo è il mio nome. I'd choose the Zurich Purse. I would like purse #2. Hi! My favourite items are the Zurich and Valencia clutches. Thank you! I'd love purse number 2!